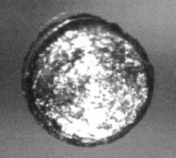 Californium sī 1 ê hoà-ha̍k goân-sò͘. I ê goân-chú-hoan sī 98, hoà-ha̍k hû-hō sī Cf. "Californium" sī ēng California ê miâ-jī khí--ê. ↑ 1.0 1.1 1.2 1.3 CRC 2006, p. 4.56. ↑ Joseph Jacob Katz; Glenn Theodore Seaborg; Lester R. Morss (1986). The Chemistry of the actinide elements. Chapman and Hall. p. 1038. ISBN 9780412273704. 11 July 2011 khòaⁿ--ê.